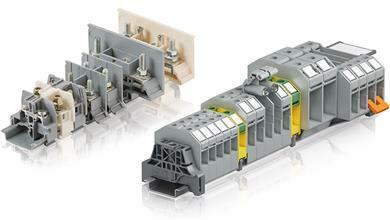 SCHAFFHAUSEN, Switzerland – August 1, 2018 – TE Connectivity (TE), a world leader in connectivity and sensors, and ABB, a world pioneering technology leader in electrification products, robotics and motion, industrial automation and power grids, announce that TE has closed its previously announced acquisition of ABB’s ENTRELEC® terminal block business. ABB (ABBN: SIX Swiss Ex) is a pioneering technology leader in electrification products, robotics and motion, industrial automation and power grids, serving customers in utilities, industry and transport & infrastructure globally. Continuing a history of innovation spanning more than 130 years, ABB today is writing the future of industrial digitalization and driving the Energy and Fourth Industrial Revolutions. As title and technology partner of Formula E, the fully electric international FIA motorsport class, ABB is pushing the boundaries of e-mobility to contribute to a sustainable future. ABB operates in more than 100 countries with about 136,000 employees. www.abb.com. TE Connectivity completes its acquisition of ABB’s ENTRELEC terminal block business.